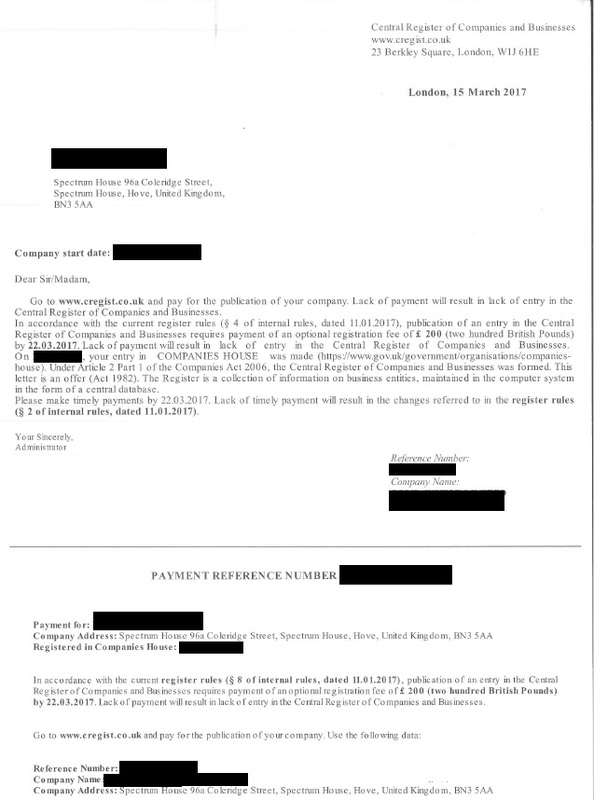 There has been a number of letters posted out recently, such as the letters below, which are made to look as though they could be letters from Companies House. These letters generally state that money is owed or is due, and requests payment by the due date. Please read letters carefully if they are requesting payment. The letters usually say that if the fees are left unpaid, the company will not be listed on the register of companies. 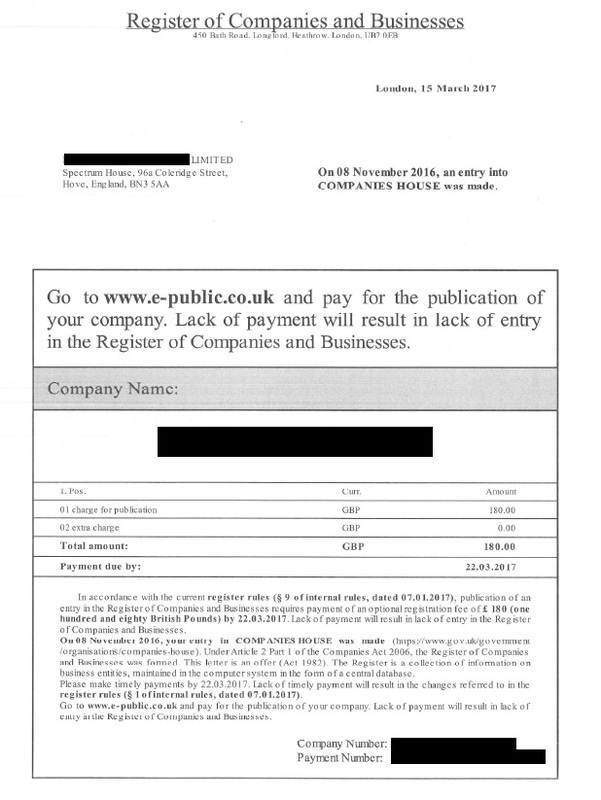 If the letter has not been sent from Companies House, it will be a separate “register or business directory” to the Companies House register. If you receive one of these letters, you can check if the letter is genuine by contacting Companies House on 0303 123 4500.